Soccer Player of the Year honors. Photo courtesy of Furman. The Furman men's soccer team had six players earn All-Southern Conference status this season led by SoCon Player of the Year Laurence Wyke. Wyke, a junior and transfer from Trinity University, leads the Paladins with nine goals. The junior midfielder ranks second in the SoCon in goals and total points (220). Wyke has also played a role in Furman's nine shutouts this season. He's the first Paladin to earn Player of the Year honors since Coleton Henning in 2011 and is the 13th winner in school history. Wyke was joined on the All-SoCon first team by senior Kevin Edelmann. SoCon coaches also placed freshman Cole McLagan, junior Danny Kierath, senior Kyle McLagan and freshman Ben Hale on the All-SoCon second team. Cole McLagan and Hale also made the SoCon All-Freshman team. Furman (12-4-3) opened the SoCon Tournament last Saturday with a 7-1 win over VMI. Wyke and Kierath each had a pair of goals to lead the Paladins, who outshot the Keydets 27-2. Third-seeded Furman advances to play No. 2 seed UNCG on the Paladins' Seagraves Field at Stone Stadium Friday at 6 p.m. The SoCon championship final will also be at Furman at 1 p.m. Sunday. It will be streamed by ESPN3. 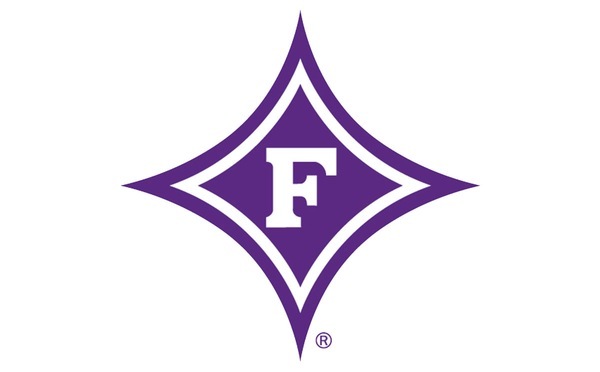 The Furman women's soccer team saw its tremendous season come to an abrupt end last last Friday when Western Carolina upset the top-seeded Paladins 2-0 in the SoCon Tournament semifinals. The loss snapped a 12-game undefeated streak for Furman, which finished with a record of 13-3-2. The Paladins were shut out despite a 19-11 advantage in shots, including a 10-6 edge in shots on goal. The two goals were the most allowed by Furman since its previous last loss, a 3-2 overtime defeat against UAB on Sept. 1. The Paladins' three losses were the only times they allowed at least two goals in a game all season. 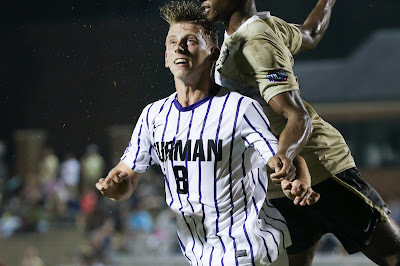 "It's a disappointing way to have our season end, but we must give credit to Western Carolina," Furman coach Andrew Burr told FurmanPaladins.com. "They played very well tonight and their keeper made some nice saves. It hurts for our seniors, but we appreciate all that they have done for Furman soccer during their careers."